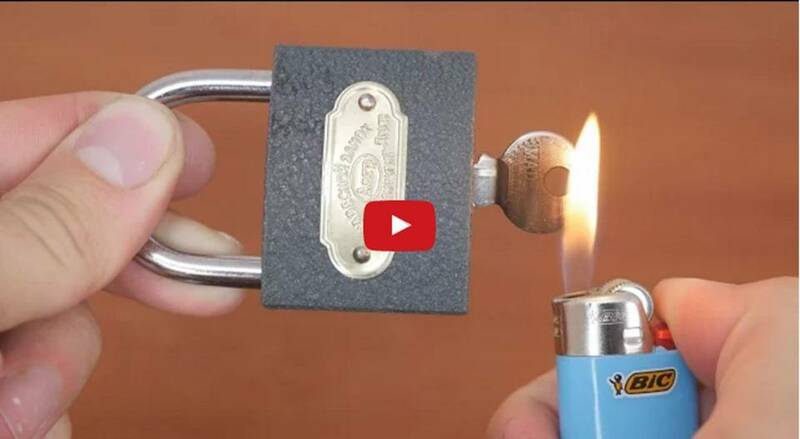 Well you don’t have to worry about finding a set of bolt cutters for every closed lock you’ve got when the three tips in the video below could save you time and money! If you’ve got a few paper clips on hand you can fashion yourself a homemade lock-picking set to save the lock; if you’ve got a Phillips Head screwdriver you can use it as well, but you’d destroy the lock. The last one is for if you ever lose the key and want a backup plan, but it only needs a tin can, some scissors and some tape!